Sir Ken Robinson, a global leader in educational reform, explains that we need to change the culture of education by focusing just as much attention on the arts, humanities and physical education, as we do on maths and science. Sir Ken Robinson, a global leader in educational reform and a New York Times bestselling author, holds very strong opinions about the arts. It often features as the topic of his TED talks. We recently came across one of his headlines which read, intriguingly, "Why dance is just as important as math in school". His explanation maps the wonders the arts can do for children. And although it won’t directly aid them in solving mathematical problems that will change the world, dance is essential to their physical and emotional development. In his TED talk Sir Ken says that he doesn’t dismiss the importance of science and math, “they’re necessary, but they’re not sufficient. A real education has to give equal weight to the arts, the humanities, to physical education." Kids prosper best with a broad curriculum that celebrates their various talents, he says. Sir Ken Robinson writes that studies and user stories have proven that through the arts, and dance specifically, the lives of children can transform significantly. 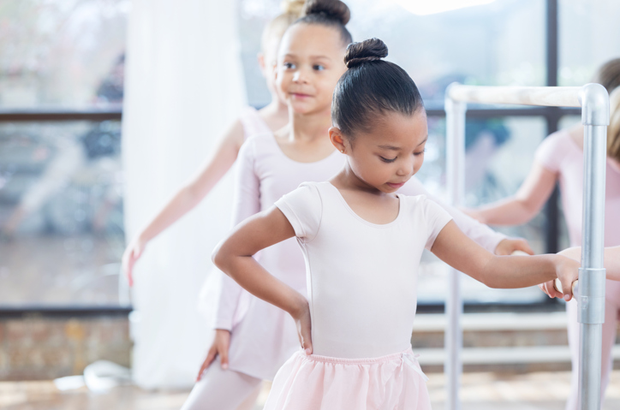 Dance has the power to restore joy and stability in children's lives and improve their ability to learn in every other subject, while developing their social and personal qualities. By utilising the power of dance, many organisations have taught children about collaboration, respect and compassion. And researchers have confirmed that through the increased physical activity, dance has a positive influence on memory, concentration and classroom behaviour, ultimately improving academic performance. When this young lady first came to Lehigh, the file on her was probably two inches thick, Walker recalls. "She felt she needed to prove herself and make sure everyone knew she was strong and would fight." The girl didn’t want to join the ballroom dancing program … but participation wasn’t optional. Soon, she found she had a natural ability. "In the next lesson, she had a little bit of a different attitude and we didn’t have to fight with her to dance," Walker remembers. "She just got in line." Sir Ken suggests one of the solutions to ensuring our children get the most in school is to encourage our teachers to be more engaged in the learning process. He doesn’t refute the importance of testing but says tests and examinations should support learning, not obstruct it. Otherwise we’re taking away children’s curiosity and imagination and replacing it with compliance. And that’s terrible for a being that’s “inherently creative” and different to everyone else. The education system should not be mechanised and focus only on STEM subjects, he continues. It should be personalised and also focus on the arts, the humanities and physical education, because dance is just as important as math. “Nothing grows there,” he says. “Nothing grows there because it doesn’t rain. Hence, Death Valley. In the winter of 2004, it rained in Death Valley. Seven inches of rain fell over a very short period. And in the spring of 2005, there was a phenomenon. The whole floor of Death Valley was carpeted in flowers for a while. What it proved is this: that Death Valley isn’t dead. It’s dormant. Right beneath the surface are these seeds of possibility, waiting for the right conditions to come about, and with organic systems, if the conditions are right, life is inevitable. Do you agree with Robinson? Do you think the arts, humanities and physical eduaction is just as important as maths? How has your child benefited from taking on extra murals such as dance? Send us your comments and stories to chatback@parent24.com and we may publish them.